melbertling has no other items for sale. WWII WW2 Original Russian Maxim box. Original stamped WWII WW2 Soviet leather M1895 Nagant Revolver holster set! *BIG SVT-40 Tokarev Rifle Color POSTER Soviet Russian WW2 manual LQQK & BUY IT! *Color POSTER Of 1895 Nagant Revolver Soviet Russian WW2 manual LQQK & BUY NOW! 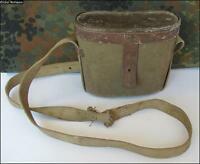 Original USSR Army Military Soldier Set Rucksack Shovel Canteen Tent, etc 10psc!